For a limited time we will install a free 50 gallon per day Reverse Osmosis System with every Full House Water Treatment System purchased and installed from J.C. Galloway The Water Doctor & Son. Do the math! 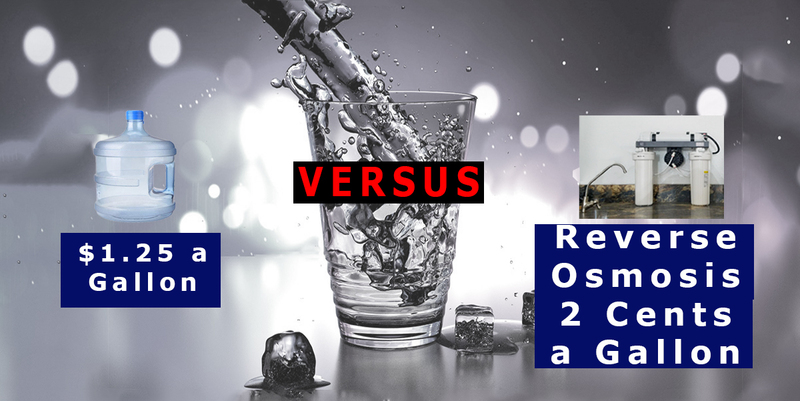 Why pay more for Bottled water when you can have a Reverse Osmosis Unit installed and have a virtually endless supply of water for around 2 cents a gallon direct to your tap. Make the right choice for you and your family! Offer cannot be combined and is limited to 1st 10 qualifying Customers.